Kaylan Collie purchased Madelyn’s Flower Shop earlier this year. Nashville’s Chamber celebrated the business recently with a ribbon cutting. Pictured above is Collie, front row center, with family, along with chamber members, town staff, town council members, business neighbors and community associates. 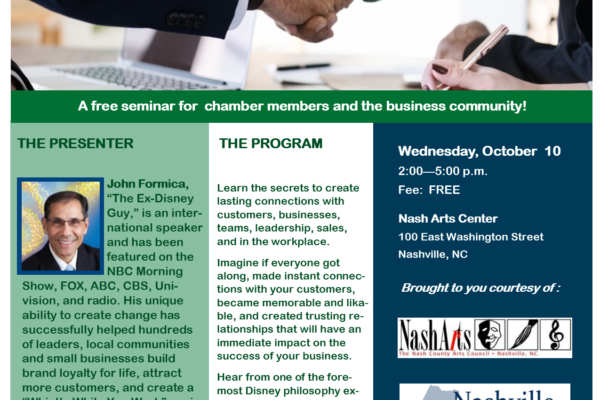 Free Seminar – Grow Your Small Business by Making Relationships Magical! Your ticket for the: Free Seminar – Grow Your Small Business by Making Relationships Magical!